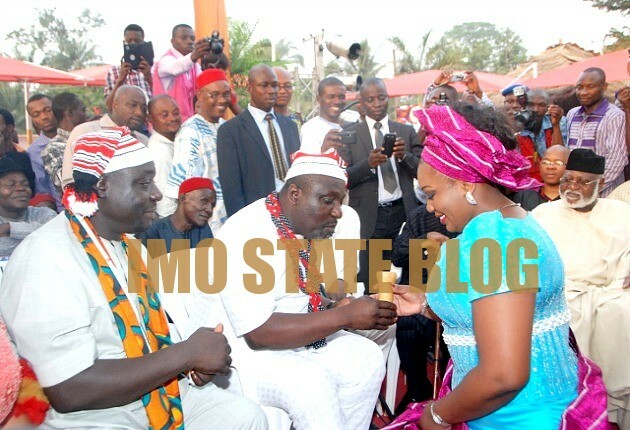 Imo State was agog with dignitaries and well wishers on January 3 when governor Rochas Okorocha’s daughter, Uloma got married to the state commissioner for Lands, Survey, and Urban Planning, Uche Nwosu. 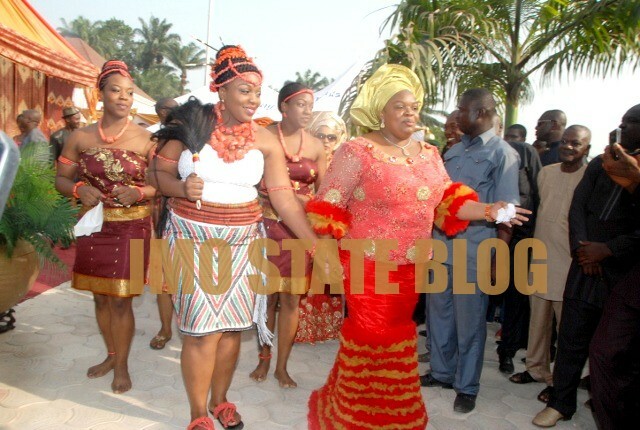 The traditional wedding was attended by Nigeria’s former president, Gen. Abdusalam Abubakar (rtd.) and several governors including Babangida Aliyu (Niger), Rotimi Amaechi (Rivers), Theodore Orji (Abia), and Aliyu Wammako (Sokoto). wish d cople a happy married life. 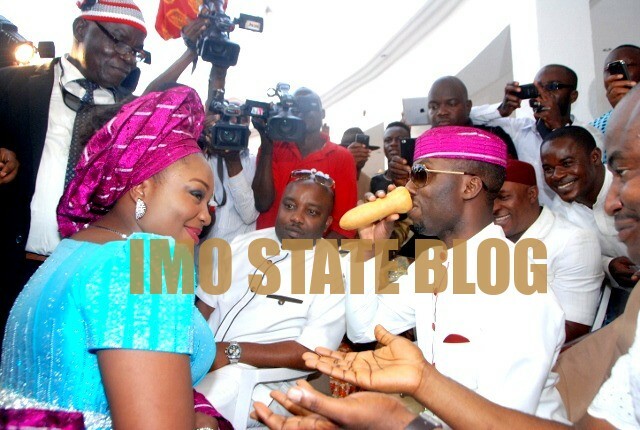 I wsh d new couple happy married life n kul honey moon thru. Hey lucky commissioner you have eight guaranteed years and a governorship slot. happy married life Congratulations !! !